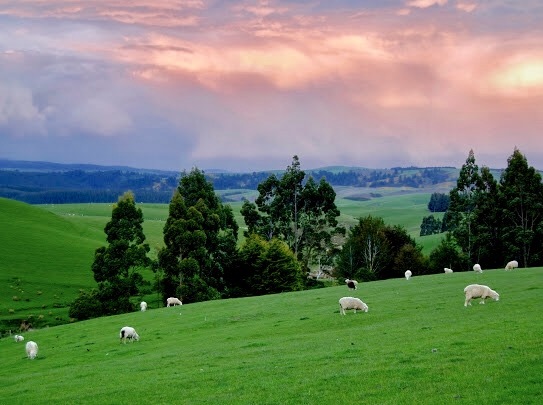 In the spirit of developing leadership for the common good, the Leader Certificate Program offers a global leadership academic course in New Zealand. The course involves three phases of instruction: classroom instruction, field experience, and community/social justice outreach. This three-credit course will be offered beginning in the spring for enrolled students participating in the subsequent phases of the course. Students who successfully complete all requirements for this course will receive the distinction of “Emphasis in Global Leadership” on his or her Leader Certificate upon completion of the Leader Certificate Program. 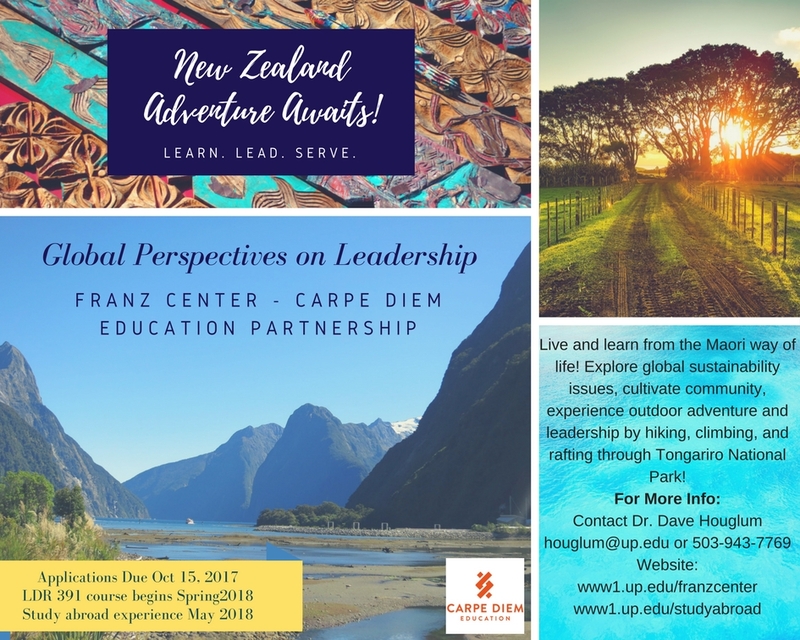 • Phase I (Spring Semester 2019): Students are required to enroll in LDR 391: Global Perspectives on Leadership - New Zealand (3 credits). This course meets once per week (Wednesdays from 4:10pm-5:35pm) during the Spring 2019 semester. The classroom phase and orientation to global leadership and development of intercultural competencies needed for the immersion in New Zealand. Faculty will provide the academic, reflective, and experiential foundation for the summer course. • Phase II (Summer 2018): Global leadership immersion and service-learning in New Zealand. This will include an approximate month-long immersion in New Zealand. 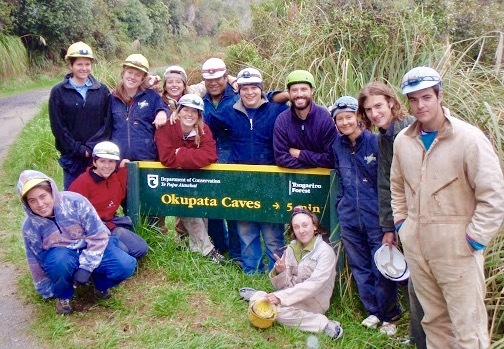 During the course of the four weeks in New Zealand, students will participate in the following academic requirements; a written reflective journal, BLOG postings, a cultural research project, culture seminars, and nightly reflections. Students will be responsible for a final written paper incorporating this material and their experience. A partnership established by the University of Portland with Carpe Diem Education will help coordinate logistics for this phase of the course and be available to assist and interact with the students. • Phase III (Fall Semester 2019): Participants will debrief and reflect deeply on their academic and experiential undertakings in Phases I and II. They will engage their transformative New Zealand experience to implement educational and service-oriented activities related to New Zealand and its influence on leadership, culture and life in the University of Portland and local Portland community. They are also highly encouraged to take follow-up courses and engage in activities that will help process their experience and better comprehend their role in serving as leaders and positive agents for global justice. • Understand and practice the seven leader character habits and key concepts of leadership theory through an international experience. • Develop a deeper awareness of leadership strengths and practice leveraging those strengths in a global setting. • Applicants will receive priority in the application process for this course if they are participants in the Leader Certificate Program and have or are currently taken LDR 225. Students who are Freshmen, Sophomores, and Juniors will be considered for this course, due to Phase III that requires participation after the completion of the global field study. This course is open to students of all majors. Students are required to enroll in LDR 391: Global Perspectives on Leadership - New Zealand (3 credits). This course meets once per week (Wednesdays from 4:10pm-5:35pm) during the Spring 2019 semester.